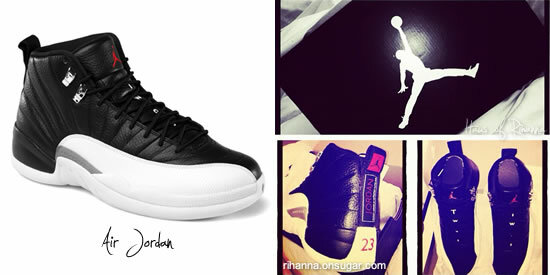 Rihanna’s most recent Instagram photos included a pic of her new Air Jordan 12 Retro sneakers (Playoffs). The shoes only went on sale on Saturday and are currently sold out in Nike‘s online store. If you want to get your hands on a pair you’ll have to check in store at places like Footlocker. 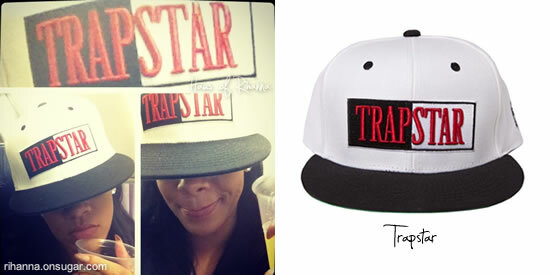 She also snapped a pic in her Trapstar “Life Is A Movie” snapback as she prepared to leave Los Angeles. Get the hat from Trapstar’s online store for £30.00.